The A5 2017 has hit the market shelves and fortunately, we were able to do some nifty testing before the smartphone turns mainstream. So, we’re in a position to make some jaw-dropping comparisons as, for now, we’re very much aware of the A5’s credentials. To be honest, we’re quite amazed by Samsung’s 2017 A-team. Not only are they excellent upgrades upon their predecessors, they pack quite a sturdy design and new looks as well. 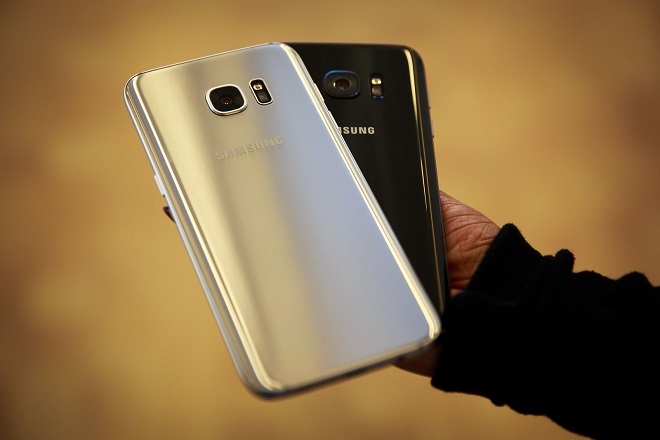 How does that fare compared to Samsung’s flag-bearers, the great Galaxy S7/S7 Edge? Let’s find out! 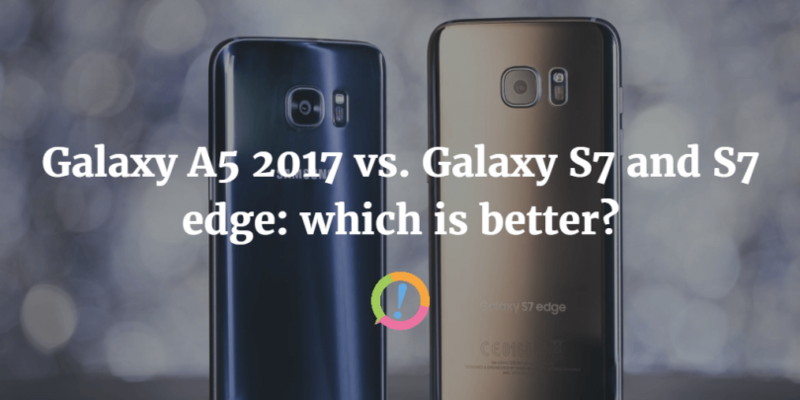 The A5 2017 and the S7/S7 Edge are very similar when it comes to their build materials and design. All three smartphones feature a well polished and glossy all glass build whose endurance against wear and tear is second to none. A huge credit for that goes to the Corning Gorilla Glass protection which not only makes the smartphones more resistant to scratches but also increases their overall premium feel. 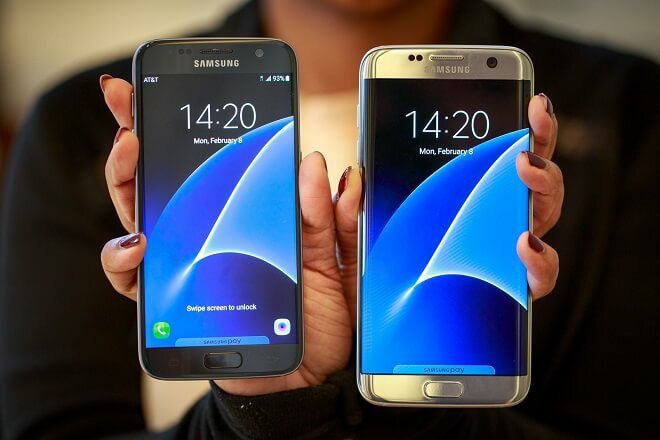 Dimensions wise, both the S7 and A5 sit pretty at a 7.9mm width while the larger S7 Edge features a tad-slimmer 7.7mm width. Oh, one more thing; all three smartphones also feature dust/waterproofing meaning that this feature is no longer limited to the flagships. Kudos to Samsung for making this possible! You heard that right; these three babies pack quite a punch when it comes to producing graphics of the highest order. Unsurprisingly, the weakest of them all is the A5 2017 but by this, we only mean “comparatively” weak and not that the smartphone produces poor results. In-fact, it’s quite the opposite as the A5 features a 5.2 inches Super AMOLED capacitive touchscreen with 424ppi pixel density. Translating into a 1080p HD resolution (as promised earlier) and glossed by the Corning Gorilla Glass, this display is quite a handful and produces an excellent user-experience. 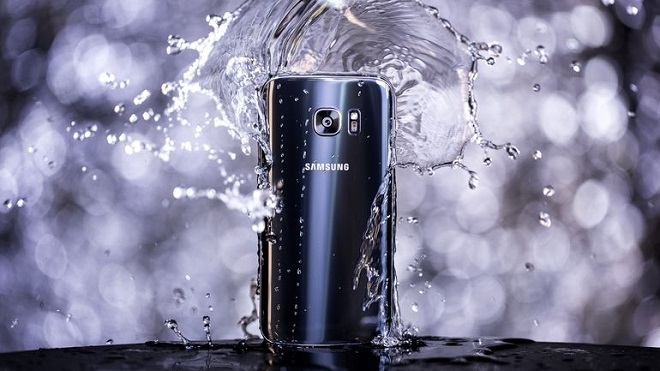 The S7 and S7 Edge feature the company’s most prestigious displays to date; the Galaxy S7 features a 5.1 inches Super AMOLED capacitive touchscreen with 577ppi pixel density. Equating to a handsome 1440p HD resolution, the display is as good as it gets. 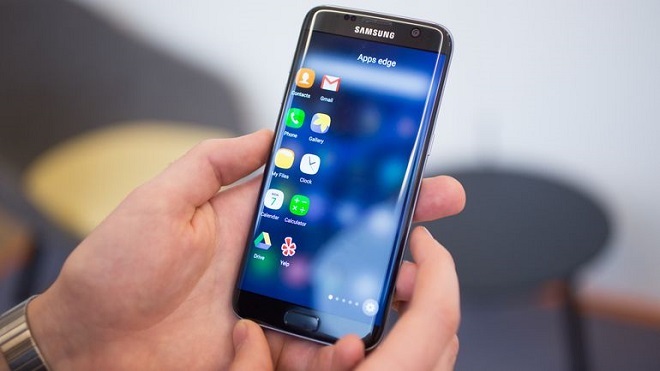 The S7 Edge on the other hand features a 5.5 inches Super AMOLED capacitive curved-edge touchscreen with 534ppi pixel density. Equating to a 1440p HD resolution, this display is known not only for its curves but also it’s prowess in all kinds of lightening conditions. And we’re back singing Samsung’s cameras praises! In-fact, we’re done singing them as we’ve grown tired now and probably you would had too. We all know how good they are so we’ll jump straight to the statistics to help you draw a line between the better of the three cameras at hand. The A5 2017 features two humongous camera sensors that’re fully capable of punching well-above their weight; we’re talking two 16 megapixel sensors for both the primary and the secondary cameras but unfortunately, the primary sensor lacks OIS or phase-detection of any sorts. That in no means imply that it’s in-adequate. The S7 and S7 Edge on the other hand shelter a feature-laden 12 dual-pixel primary camera sensor with OIS, phase-detection autofocus and an LED flash. The secondary camera though, stands at 5 megapixels which gets easily steamrolled by the much larger 16 megapixel sensor of the A5 2017. That’s right, all three smartphones are deprived of any lag and by modern, we mean all of them feature a fingerprint scanner, fast charge technology, large non-removable batteries and at-least 32 gigs of internal storage (the S7 and S7 Edge have 64 and 128GB models as well). Performance wise, the A5 is somewhat slower(but not laggy!) 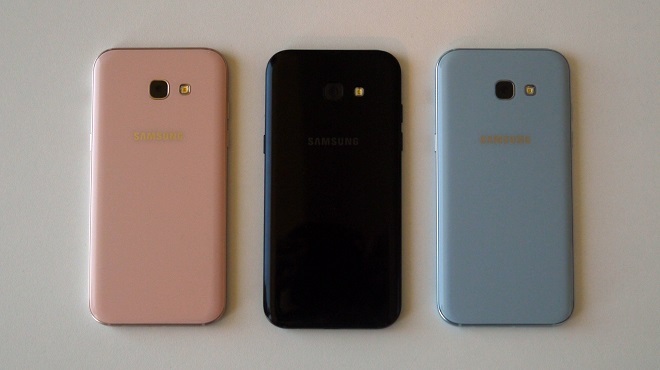 than the S7 and S7 Edge as it features 3 gigs of RAM compared to them featuring 4 gigs of RAM. 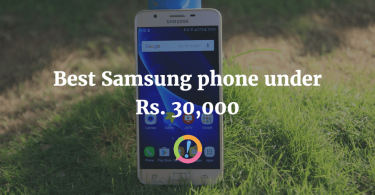 Their processors are almost equally capable to run the built-in Android Marshmallow but the extra 1GB of RAM in the latter smartphones make them faster. 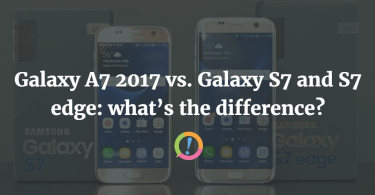 So in the end, the S7 and S7 Edge “edges” out the A5 2017 in many respects. 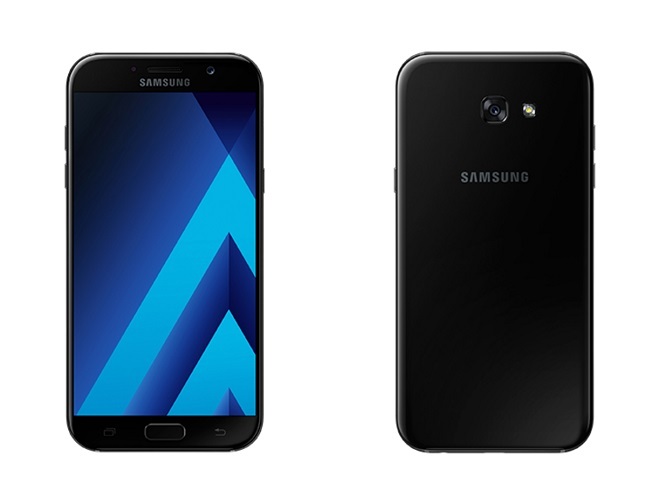 However, comparing their price-tags and the competition given by the latter to the former, the A5 is by no means a push-over and we’d highly recommend you to give it a look when you’re on the lookout for a new smartphone. Images via Android Authority and CNET.